Swimming in a chilly pool isn’t much fun, except for exceptionally hot days. Heating your pool extends its usefulness, and your swimming season, by allowing you to enjoy the pool during spring and fall months, along with cool summer evenings! At UV Pools, we recommend two styles of heaters for Winnipeg in-ground pool owners. Just give us a call – we’re always happy to discuss these options with you. With the addition of a pool heater to your pool in Winnipeg, you can start using your pool a month earlier in spring, and a month later in fall. Heaters make a substantial difference to your pool experience, considering the length of an average Manitoba summer. Both of these models work fine, but pilot lights can blow out quite easily. Electronic ignitions can save you time, and hassle. Gas heaters are quick, and can heat pools regardless of the outside temperature (we don’t recommend swimming in sub-zero Manitoban temperatures). Within Winnipeg, they’ve proven to be the most popular heating option. Modern gas heaters operate at an 83% efficiency level, and tend to be slightly quieter than traditional heat pumps. Heat pumps run on electricity, and resemble household air conditioners. These heat pumps exhaust cold air out of the top of the unit. 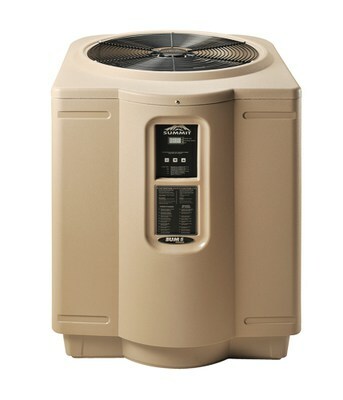 These heat pumps require an outdoor temperature of at least 10 degrees to effectively work. They operate at a 98% efficiency, but do take up more space than gas heaters. 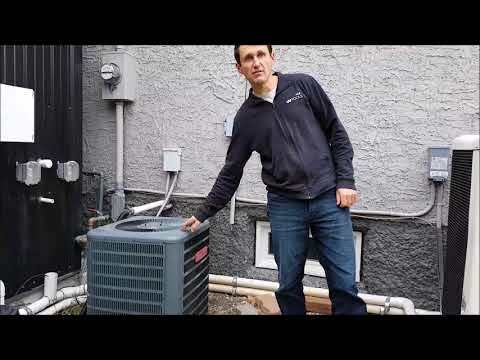 Heat pumps cost 50% more upfront, but do last longer than gas heaters. Which pool heater is right for you? Give us a call, and we’ll take time to discuss your needs, budget, and details of your pool, helping to determine the best heating option for your backyard. How Big Should my Pool Heater Be in Winnipeg? The size of your pool. The average sun exposure your pool has. If you have and use a pool cover. What times of year that you would like to swim. When you call us with this information ready, we’re always happy to run the numbers, and calculate the appropriate heater size for your Winnipeg pool. How Much Do Pool Heaters Cost to Operate in Winnipeg? In Winnipeg, running a pool heater can cost anywhere from $50-$400 per month, depending on the style of heater, the size of your pool, and if you use a cover at night. Pool heaters are mainly used during the spring and fall months, to initially heat the pool, and maintain the water temperature as the weather becomes more cool. Based on the current gas and electrical prices in Manitoba, a heat pump costs about 60% less to operate when outside temperatures are 26 degrees, as compared to a gas heater. However, when the outside temperature drops to 10 degrees, heat pumps cost about 40% less to operate. If temperatures continue to drop, the efficiency of the heat pump will also drop, and the pump will need to run defrost cycles regularly. The final style of heating available is a solar heater. One style of these heaters use glass solar tubes, that work to boil water in the middle of winter. These solar tubes are not affected by the outside air temperature, as they exist within a vacuum. This tube style solar heater takes up less space than any other solar pool heater available, and are the most efficient. Clearly, there is a lot to consider when purchasing the right type of heater for your pool, and your needs. UV Pools owner Dale Kreviazuk provides the answers you need, and helps you choose the heating option that will work best for you. We have years of experience, and all the modern pool know-how, so give us a call today. Let our expertise work for you! UV Pools shows you how your pool equipment operates. Every pool will have a few basic necessities which would be a pump and filter most pools have a heater as well. 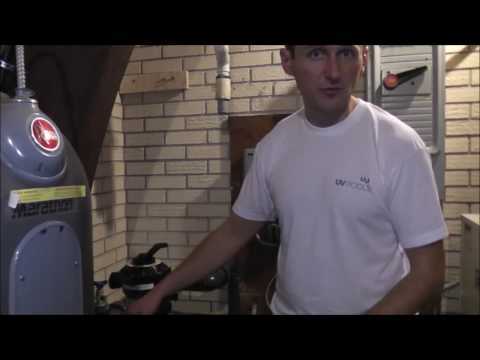 Dale Kreviazuk of UV Pools gives an overview of how a pool Heat Pump works. 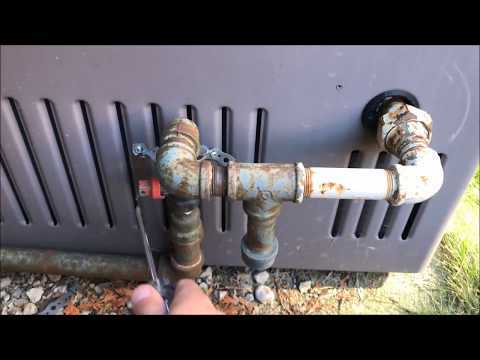 Dale Kreviazuk of UV Pools shows you how to properly winterize your pool heater.